But what is a cooperative? What does it mean to be a cooperative member? In a general sense, a cooperative is a not-for-profit organization formed by a group of people who aren’t motivated by making money. Instead, this group shares a common need amongst themselves for specific good(s), service(s) or purpose(s). 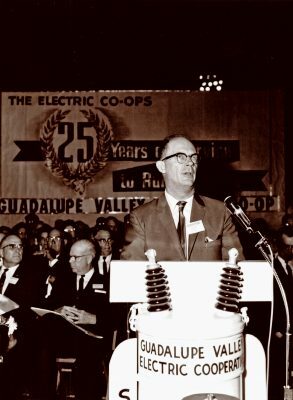 In 1938, farmers from around the Guadalupe Valley formed Guadalupe Valley Electric Cooperative. Back then, it was impossible to entice large, investor-owned power companies to build the infrastructure needed to electrify thinly populated rural areas. Doing so simply wasn’t profitable. These local farmers were determined to bring electricity to both themselves and to their neighbors; they understood that forming a cooperative was the only way to do it. 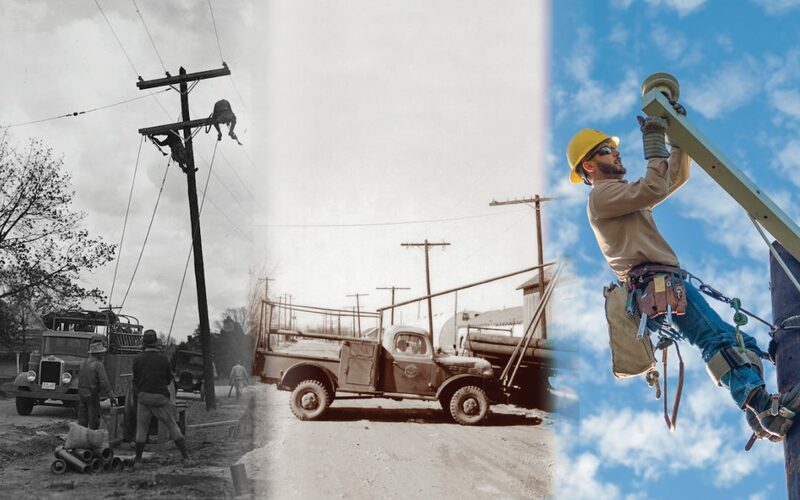 Eighty years later, GVEC is proud to be an integral part of the communities we serve, operating for the good of all our members. When you purchase electricity from GVEC, you actually own part of the cooperative itself; this is true of all cooperatives and the products and services they sell. When we say you’re a member—when we say that GVEC is your Cooperative—that’s literally what we mean. The members of our community share membership and ownership of their Cooperative. That’s the cooperative way of business. 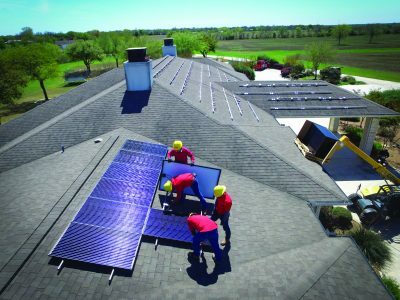 That brings us back to the theme of 2018 National Co-op Month: Cooperatives See the Future. According to GVEC General Manager Darren Schauer, this theme perfectly encapsulates GVEC’s future and past. In fact, Schauer said, GVEC was founded on a vision of the future. 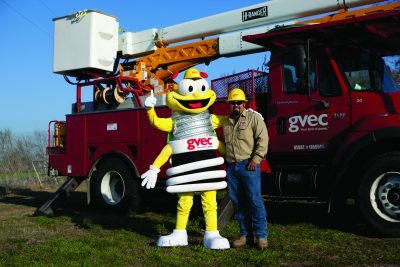 The farmers who formed GVEC, Schauer explained, were “joining together to bring a brighter future by lighting up the Guadalupe Valley.” True to the theme of 2018 Co-op Month, the General Manager added, those founding members of GVEC indeed saw the future—a future where electricity powered every household, whether rural, urban or suburban.